For four seasons, The CW’s smash hit show "The 100" has taken fans on ups and downs as post-apocalyptic heroes fight to survive. The fight has torn them apart, turned them against each other and taken the lives of their closest friends. 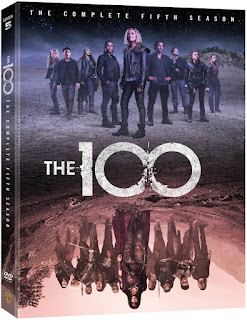 Already renewed for Season Six, the fifth installment takes us through the journey of establishing a new home and protecting the future generations when Warner Bros. Home Entertainment (WBHE) releases the exhilarating "The 100: The Complete Fifth Season" on DVD. 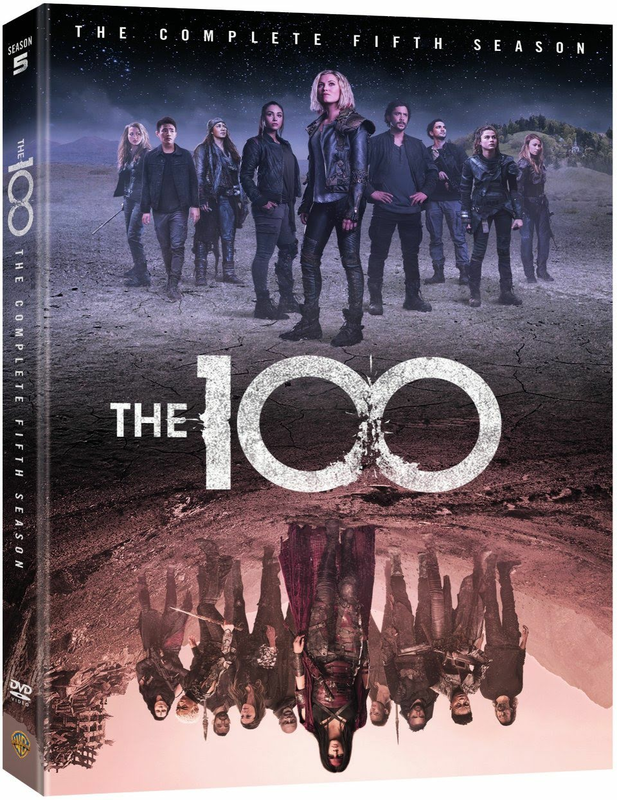 "The 100: The Complete Fifth Season" will feature all 13 explosive episodes plus all-new bonus content and will be available for fans to own on October 9 for $24.98SRP. In addition, "The 100: The Complete Fifth Season" also arrives on Blu-ray courtesy of Warner Archive Collection. The Blu-ray release includes all bonus features on the DVD, and is also arriving October 9. Last season, our heroes were introduced to the harsh truth that the human race is doomed to face an unbeatable enemy: the remaining nuclear reactors on Earth have melted down and are setting the atmosphere on fire. The group had very little time to prepare for the worst, with every possible solution disappearing almost as quickly as they were able to come up with them. With a literal countdown to the end of the world, our heroes were forced to go to unimaginable lengths to make it out alive –with or without each other. In the aftermath of Praimfaya, they must begin again and with Season Five, our heroes will have to examine their responsibility to the new place they call home and the future generations who will inhabit it. Can they begin again and celebrate what remains or will the frailties of human nature cost them their one chance to rise from the ashes? Based on Kass Morgan’s bestselling young adult book of the same name, "The 100: The Complete Fifth Season" returns withan all-star cast including Eliza Taylor (The November Man), Paige Turco (Person of Interest), Bob Morley(Home and Away), Marie Avgeropoulos (50/50, Percy Jackson & the Olympians: The Lightning Thief), Christopher Larkin(90210), Richard Harmon (Bates Motel), Tasya Teles (Rogue)and Henry Ian Cusick (Lost). The series, from Bonanza Productions in association with Alloy Entertainment, Warner Bros. Television and CBS Studios, is executive produced by Jason Rothenberg, Dean White and Leslie Morgenstein. The fifth season of "The 100" is also currently available to own on Digital. Digital allows consumers to instantly stream and download all episodes to watch anywhere and anytime on their favorite devices.Digital is available from various retailers including Amazon Prime Video, iTunes, Google Play, Vudu, Xbox and others.